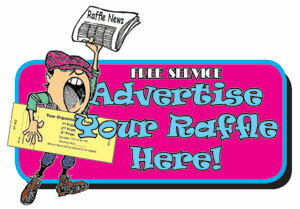 Would you like an easy way to solicit prizes for your next fundraising raffle? We’d like to make matters even easier for you so here’s a sample letter template that you can just copy, paste and mail. Of course make sure you replace the appropriate text with your specific information. I (or we) am writing you on behalf of the (name of your organization). We are the (local chapter of the name of organization), with members from all over your (regional area) coming together to (main purpose of your group). Prize donors will receive recognition of their generosity in our newsletter, website, printed on the raffle ticket itself, and in the event program and live at the event. This is a good marketing opportunity for your company to be seen in front of (target demographic group –auto enthusiasts, wealthy landowners, etc). Now grab some stamps and start licking!